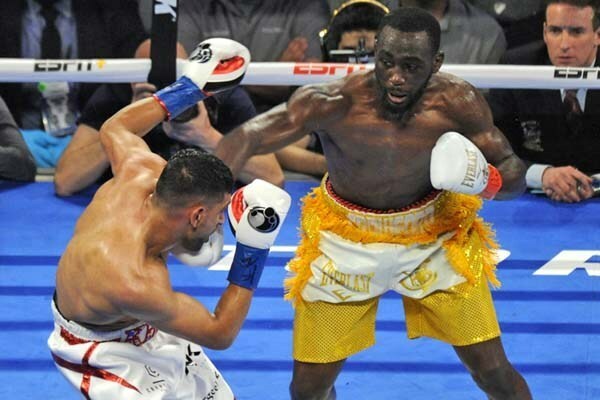 New York, NY (6/24/13) - On July 19, ESPN's Friday Night Fights returns to the historic 107-year-old Rockingham Park in New Hampshire, with a scintillating main event featuring WBC #3-rated junior welterweight Ajose Olusegun (31-1, 18KO's) taking on longtime lightweight contender "Hammerin'" Hank Lundy (23-1-1, 11KO's). 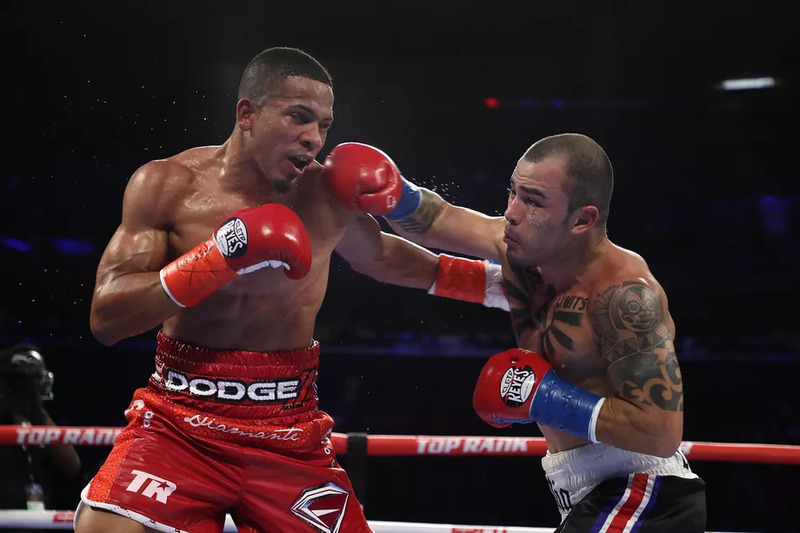 The bout, promoted by DiBella Entertainment in association with Jimmy Burchfield's Classic Entertainment, is scheduled for 10 rounds in the junior welterweight division. In the co-feature bout, undefeated up-and-coming prospects Ryan "The Polish Prince" Kielczweski (16-0, 3KO's) and Miguel "Mikito" Soto (11-0, 11KO's) put their unblemished records on the line in an eight-round super featherweight showdown. The Kielczweski-Soto bout is promoted by DiBella Entertainment in association with Rumble Time Promotions. "This fight is a great opportunity for both of us to show the world just how good we are," said Olusegun. "It is going to be a fire-for-fire fight, an exciting one that the boxing fans want to see. I am excited and I can't wait to put on a great performance." "We know all about Ajose," said Hank Lundy. "I was supposed to fight Lucas Matthysse, but that fell through. I thought I would've beaten Matthysse. Ajose fought him and we all saw what happened. This fight is going to be a good win for me. I'm coming to win. I'm coming off an upset loss in the Ukraine. I actually won the fight. I know what's going on now; I'm moving up to 140, so everyone thinks I'm going to be the smaller guy. Come fight night, they're going to see a new Hank Lundy. I started my career at 140 pounds. At 140, I'm actually stronger, more powerful. I was killing my body to make 135 pounds, coming down from 160. I'm a muscular guy. I don't have a lot of body fat. I'm going to be a powerhouse and I'm going to display some of my punching power that night." "This is an absolutely fantastic card for ESPN," said Lou DiBella, President of DiBella Entertainment. "In the main event, you have two proven contenders, with the winner taking a major step toward challenging for a world championship in the loaded 140lb. division. In the co-feature, you have two undefeated prospects, taking a major step up in their respective careers. We are also going to load the undercard with local talent, making this a truly action-packed card from top to bottom." 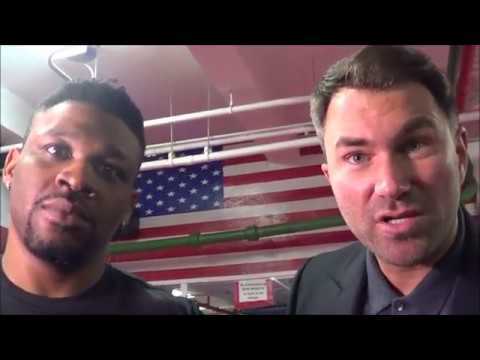 "There's nothing Hank Lundy wants more in life than to be a world champion, and in order to do so, he realizes that he needs to fight the biggest and the best in his weight class," said Lundy's promoter, Jimmy Burchfield. "No fighter between 135 and 140 pounds has a more impressive resume than Lundy. Not only is he facing elite competition every time he steps into the ring, he's going to other fighters' backyards and winning against all odds. He's grown up before our eyes in front of millions of homes worldwide on ESPN. Since 2010, the combined record of his opponents is a staggering 187-16-3. I challenge anyone to find a fighter who has put himself to the test and faced tougher competition than Hank Lundy. Not only does he have the heart, guts and determination to fight anyone at any given time, he's as fan-friendly as any fighter in this sport. He gets knocked down, he gets back up and then he knocks you out. He's exactly what TV is looking for and exactly what boxing needs. He always comes to fight and always puts on a show. July 19 will be no exception." 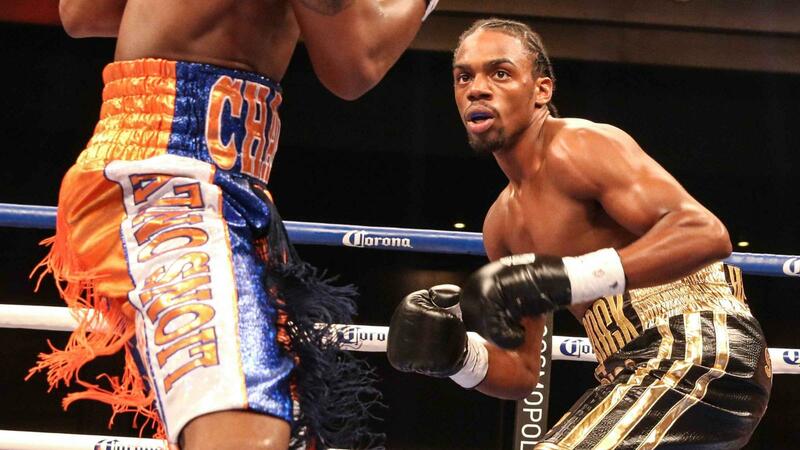 "Coming off two consecutive loses, junior welterweight contender Hank Lundy is in danger of becoming irrelevant. He will need his good speed and great urgency to beat a bigger, more physical south paw opponent, Ajose Olusegun. That's the tough news for Lundy. The good news for the fans of Friday Night Fights is that both these experienced fighters are not hard to find-they will be right in front of each other all night and that should make it a good night of fights," said esteemed ESPN Friday Night Fights ringside analyst, Teddy Atlas. Ed Callahan, the President and General Manager of Rockingham Park, said, "We are very pleased to be able to bring quality boxing back to the NH area. We look forward to working with DiBella Entertainment and ESPN again in providing a great show." The matchup between Olusegun and Lundy is a can't-miss fight, featuring two all-action fighters. The WBC #3-rated Olusegun is certainly one of the most talented and exciting 140-pounders in the world. A 2000 Olympian for his native Nigeria, Olusegun has held Commonwealth and British junior welterweight titles. Olusegun won a dominant, near shut-out 12-round unanimous decision over Ali Chebah (35-1) on Showtime in 2011, in an official WBC junior welterweight title eliminator. 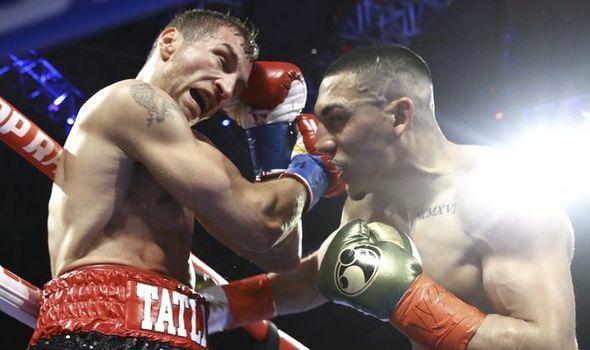 The win propelled Olusegun into his first world title opportunity, as he squared off against fellow top-rated contender, and one of the most devastating punchers pound-for-pound in the sport today, Lucas Matthysse. In an all-out war, Olusegun was stopped in the 10th-round of their scheduled 12-round championship contest. From the opening bell, both fighters stood toe-to-toe, exchanging monstrous blows for nearly every second of every round. Showtime commentator Al Bernstein, who was calling the bout, proclaimed Olusegun to be one of the top three junior welterweights in the world, and commended him on his warrior performance against the devastating and feared puncher Matthysse. 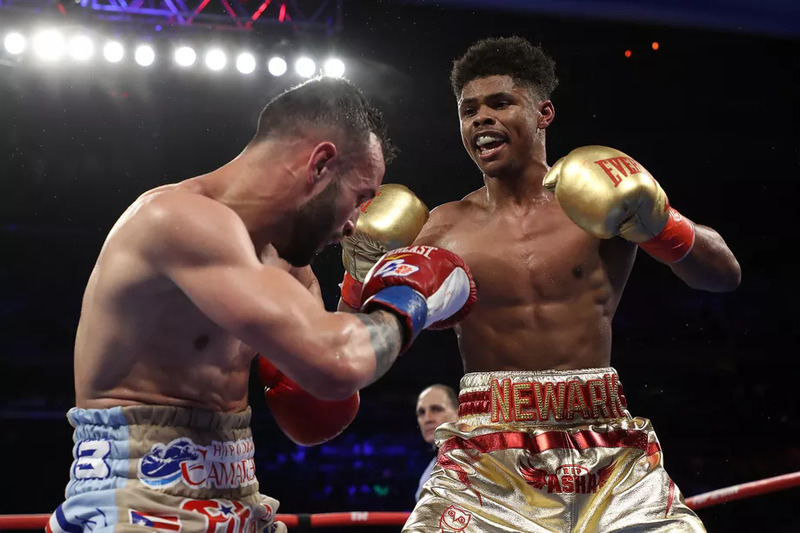 Olusegun bounced back from the loss with an eight-round unanimous decision victory in April of this year, and is now looking to put himself back into title contention in the talent-laden 140lb. division. A longtime staple on ESPN's Friday Night Fights, Lundy began his career 18-0-1, claiming the WBO NABO lightweight title and gaining a top-10 rating in all four major sanctioning bodies. 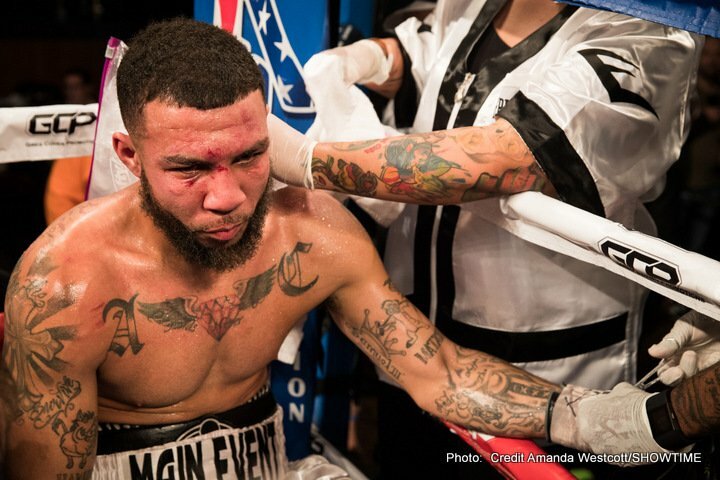 A title shot was looming, but then Lundy suffered his first pro defeat at the hands of knockout artist John Molina in a bout aired on ESPN. Lundy was winning the bout handily, before being stopped in the 11th round. Lundy bounced back nicely from the defeat, winning his next four bouts, all of which were aired on ESPN and picking up the NABF title in the process. On July 27, 2012, in an upset, Lundy lost his NABF title, via majority decision, to IBF #3, WBC #6 and WBO #8-rated Raymundo Beltran. After the loss to Beltran, Lundy decided to move up in weight. In his first bout as a junior welterweight, Lundy traveled into enemy territory to take on the undefeated Ukrainian Victor Postal (23-0), ultimately dropping a close 12-round decision in Postal's backyard for the vacant WBC International junior welterweight title. Now Lundy is hoping to get back to his winning ways when he takes on the very talented Nigerian Olusegun. The co-feature matchup pits two young undefeated and highly regarded up-and-coming prospects looking to make the transition to legitimate contender status in the division. Both fighters have similar styles and will have their foot on the gas as soon as the opening bell sounds. Soto is a devastating puncher and has the ability to knock you out with either hand. Despite his low KO ratio, Kielczweski is an aggressive fighter who loves to mix it up, easily throwing upward of 100 punches per round. Kielczweski had a stellar amateur career, sporting a 118-26 record, as well as being the runner-up in the 2008 National Golden Gloves Tournament. Kielczweski won both the 2007 and 2008 New England Golden Gloves Tournaments, and was named the 'Outstanding Boxer' in 2008. The event on July 19 will be the first ESPN Friday Night Fights card at the historic Park since 2007 and third ever in its long history. Tickets are priced at $75 VIP reserved, $45 reserved and $35 for general admission. Tickets can be purchased by calling 603-898-2311 and will be on sale later this week.